George and Irene were born to be together. Literally. Their mothers, friends since childhood, hatched a plan to get pregnant together, raise the children together and then separate them so as to become each other's soulmates as adults. Can true love exist if engineered from birth? 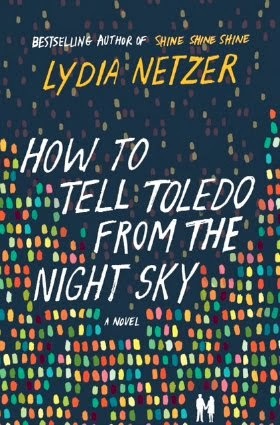 Lydia Netzer's How to Tell Toledo from the Night Sky is a mind-bending, heart-shattering love story for dreamers and pragmatists alike, exploring the conflicts of fate and determinism, and asking how much of life is under our control and what is pre-ordained in the stars. Jenna and Billy are in love. He's an app developer, a hyper-plugged-in citizen of the internet, with a big Scottish family and winning smile. 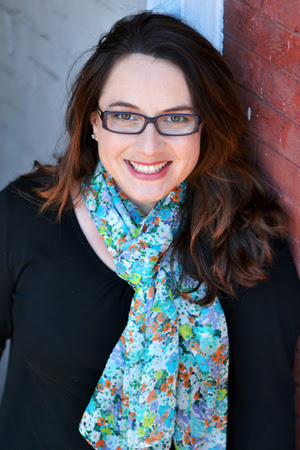 She is a yoga teacher, tuned in to the vibes of the spiritual universe, who was abandoned by her mother as an infant and orphaned by her father's recent death. When they meet, it's electric, and it is no time before they are married and eager to start their own family. But when they can't get pregnant, Billy devises a plan: they would raise funds for their in vitro fertilization on Kickstarter, offering donor perks like cutting the cord, naming the baby, and catching the baby when it takes its first steps. The good news is that they make their fundraising goal, get pregnant and have a baby! The bad news is that their marriage begins to fall apart when they have to deliver on all those perks. It’s hard enough to survive delivering a baby without a performance artist making a documentary of the cord cutting. It’s difficult enough to get baby to sit up and smile for a six month portrait without a local politician taking up half the lens. What does it mean to be owned by the internet? 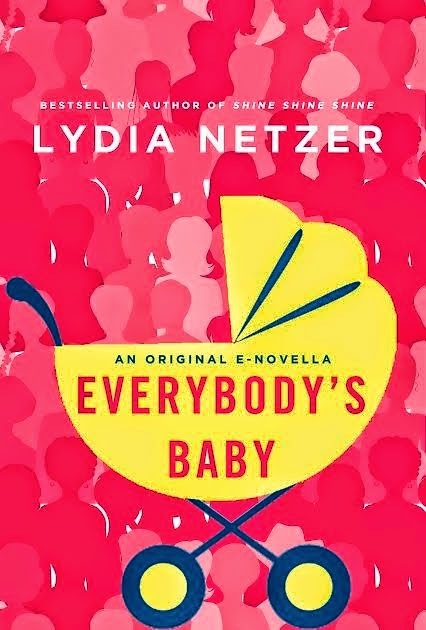 Everybody's Baby explores how relationships grow and fail in public and private life, the hazards of living “in the cloud,” and the nature of love online and off. 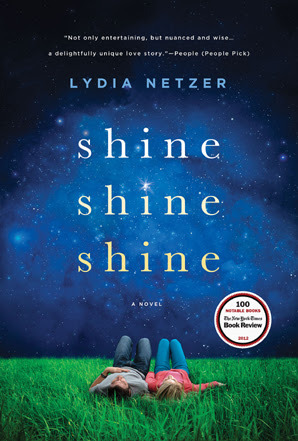 Shine Shine Shine was a Target Book Club Pick, a New York Times Book Review Notable Book in 2012, a People's Pick of the Week in People Magazine, Amazon's Spotlight Book of the Month, made iTunes' list of Best Books of 2012, and the audiobook was Publisher's Weekly's Fiction Audiobook of the Year for 2012. For more reviews, click here.